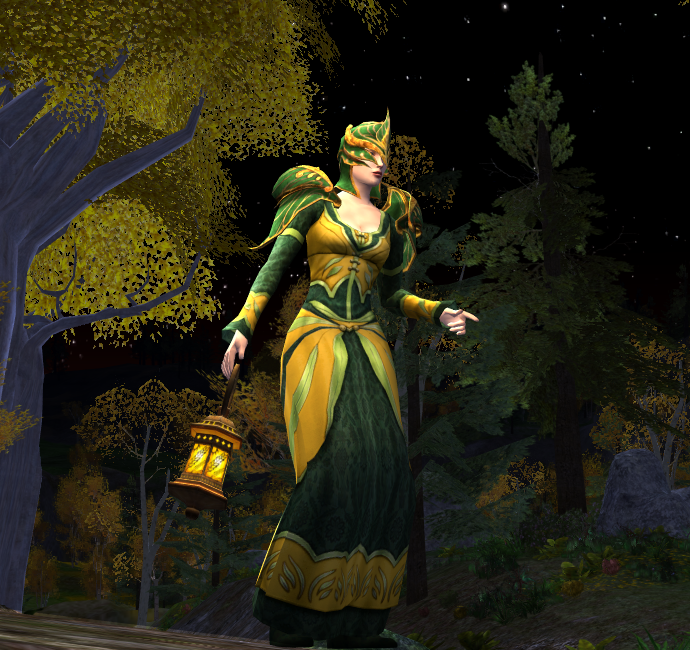 As LOTRO has been taking it slow regarding expansions, we don’t get to see a lot of new armour designs anymore. I fondly remember the days of the Rise of Isengard expansion, where every quest would reward an awesome new piece of armour. I would choose my rewards based on looks, as stats never matter that much or can be obtained by using crafted armour. Cosmetics are permanent and sometimes only available from quests. The Helms Deep expansion did come with a few new appearances. This chest piece can be picked up as a reward from several quests in West Rohan. I am obviously enjoying myself making winter outfits, and my little hobbit burglar is my favorite dress up character. No matter what she wears, she always looks adorable with a very high squee factor. I made her a winter outfit to match her Rohan war-steed. Perhaps the pieces used in this outfit are not that new or special, but they sure look comfy and warm. I have made a few changes to the blog in the way previews for festival cosmetics are posted. They no longer appear as blog posts, but are now separate pages available through the side menu. When a festival is running I will place a direct image link in the side bar for easy access. You can currently preview the Yule Festival cosmetics and mount, as it has been released on Bullroarer. What a fantastic outfit and a lovely match with her steed. Even the background scenery matches! I love that old floppy hat. As crazy as the old Shadows of Angmar pieces sometimes were, I feel they often have a lot more personality than many of the newer ones.